By Starfox, January 10, 2018 in Help Me !! Hey guys, I have replaced the heaterhose tubing that protrudes from the firewall, but that was not the cause of the leak. 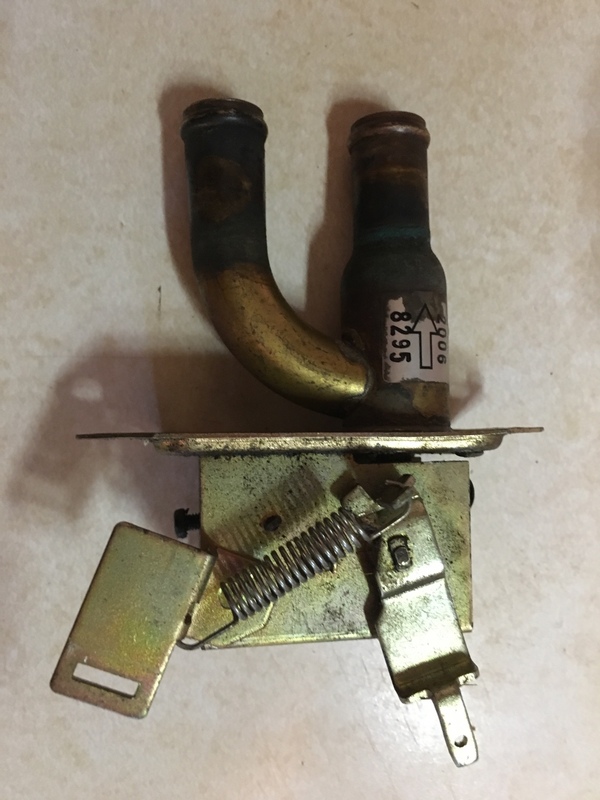 I am assuming this part ( part in photos) is a heater water temp sensor . Question is where can I find a new one?? I found a rust hole in the flood pan and am 99% sure this leak is the cause. The leak from this valve is a steady drip even while not running. Any help or advice is most welcome, as I am pretty much stuck atm. Zcarsource.com. Pricey though. They have rebuilt ones also. Yep! 200$ I think il go with the rebuilt one. And I may be able to provide an additional core from my 76 280z parts car. See if they will cut me a deal! Thank you very much though, I always forget about that site. Even the rebuilt one is expensive at $171! May be a good time to open up the passenger side of the heater box and examine the heater core itself. I believe the valve connects directly to the core itself and both may be ready for some TLC. This will also give you a chance to have a look at the inside of the box. Pulled the heater core and it had a positive test! Now time to send my core off. Does your car have factory A/C? 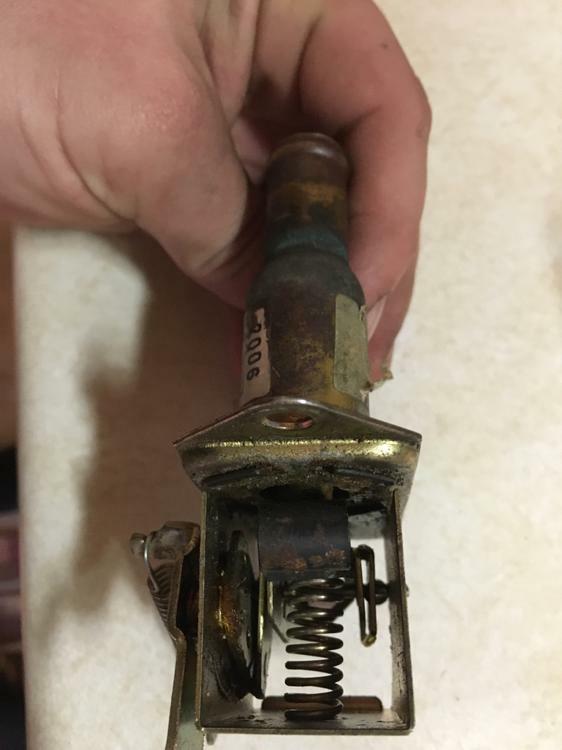 How hard was it to remove the valve? I'd have to remove the evaporator to remove the valve should it ever go bad. Pull the blower motor and valve is behind it. Sorry, didn't mean the Valve itself. I was thinking of the attached capillary tube that winds down into the heater box behind the evaporator. Is there another way to access it? Oh yeah. So now I'm sorry as well. I forgot about that part. I don't know if you can manage to get enough room under the evaporator housing to get that capillary tube out. You jussssst might be able to loosen up the evaporator box and lift it up enough to get the capillary out without evacuating the system. But you're absolutely going to have to pull the dash to even have half a chance. Sorry for the potentially misleading info! That capillary temp control is a nice feature, but I wouldn't evacuate a working system to replace it. I'd just clip it off and switch over to a non-thermostatically assisted valve. Here's a relatively thread where we were discussing that little capillary tube and it's involvement in replacing the water control valve.